Now Canada Rolls its Wheels on EZLinQ. EZLinQ is an All-In-One Solution for any size trucking company. 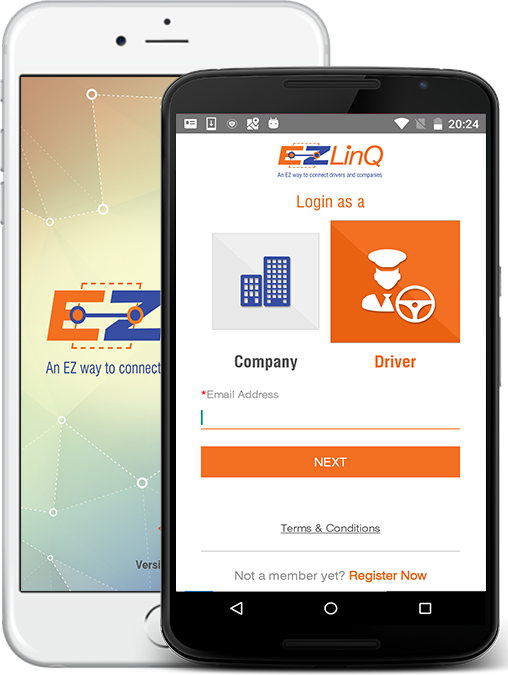 EZLinQ is the only smartphone app that connects drivers with companies looking for the delivery of loads across Ontario and Quebec (Canada coming soon). Created by a logistics manager and former owner of a trucking company, we are a privately held company based out of Canada. Innovation in the trucking industry has been at the heart of our development. In order to keep evolving we want to hear from you, we want to deliver solutions that work for you! Have questions or suggestions, need support, we would be glad to assist you.